Kids will have fun practicing alphabet letter sounds with this FREE Letter Sounds Bingo to play by yourself or with others. 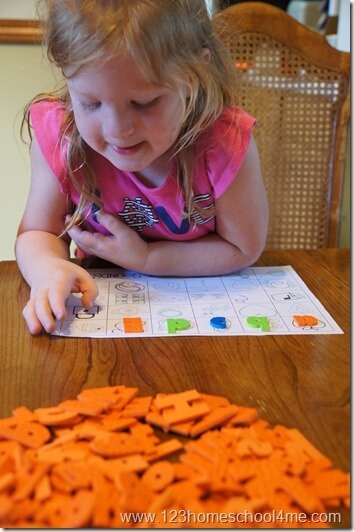 This is a great language arts activity for preschool, kindergarten, and 1st grade age kids. Kids will love practicing alphabet letter sounds with this FREE Letter Sounds Bingo game that can be played alone or with others. 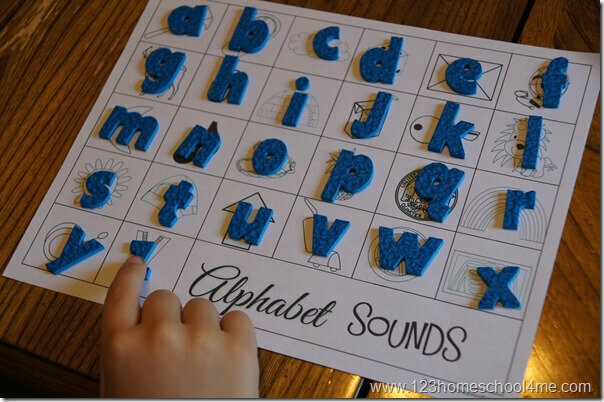 This alphabet game is intended for preschool and kindergarten age kids. 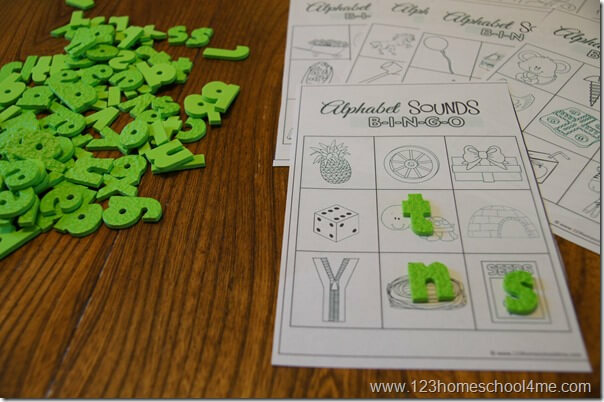 This activity will help kids practice letters sounds, learn new vocabulary, and improve their phonics too. There are 3 different LARGE picture mats to play alone – 2 short vowel and one long vowel. Kids place the alphabet letters on top of the correct picture sound. There are 20 mats to print and cut apart to play with others. Pass out a bingo mat to everyone playing. Besides the alphabet manipulatives for each student, you will need a bag of letters (we use more of the alphabet manipulatives). Pull a letter out of the bag and say the letter out loud. If students have a picture starting with that alphabet letter sound they can cover the square. Play until someone gets 3-in-a-row and shouts BINGO.